1. I didn’t start reading my favorite literary genre (fantasy) until I was 19 years old. Of course, I was reading long before then. My go-to novels when I was a teenager were Nancy Drew mysteries, Ann C. Martin’s Baby-Sitters Club series, K.A. Applegate’s Animorphs series (funny, I was reading science fiction before I read fantasy), and anything by Scott O’Dell. Then came Peter Jackson’s Lord Of The Rings film trilogy. I’d heard of J.R.R. Tolkien and his books before then, but I had never thought to give them more than a passing glance. 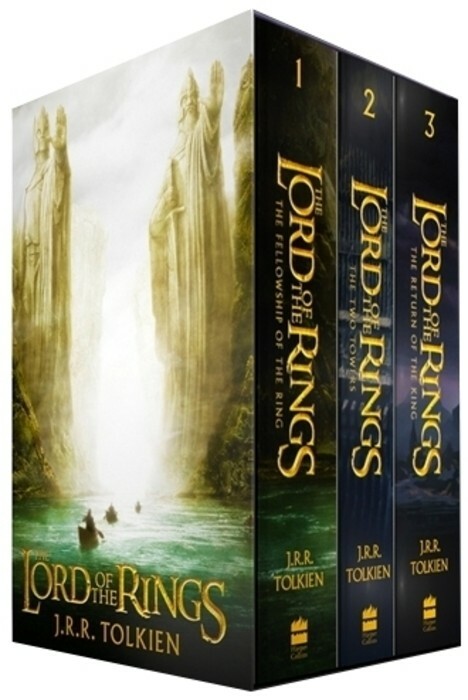 By the time I finished watching “The Return Of The King,” I knew I needed to read The Lord Of The Rings. That was 11 years ago. I didn’t just enjoy the books, by the way. I escaped to Middle-earth and fell in love with all of its races, places, creatures, and conflicts – and after that, I wanted to read more fantasy stories and be swept up again in worlds very different from my own. I’ve been catching up with the genre ever since then. 2. I’m super-shy in person. While I have no problem writing my heart out, in person it’s a very different story. I tend to clam up around people I don’t know. Even small-talk with strangers makes me nervous. The best ice-breaker for me is often finding a common interest, hobby, passion, etc. that I can talk about with the other person. I think that’s why I still feel anxious about Twitter sometimes: Except for sharing articles (mine or other writers) or talking about books, tea, or writing, I don’t always know what to say when I’m there. Maybe this explains the “brain-freeze” problem I mentioned earlier. I think I’m slowly becoming a little less shy, though. At least on Twitter. I’m finding other things to talk about and new people to connect with. In person is still a challenge; I doubt I’ll ever be not shy, but the point is that I’m trying to feel more comfortable with talking to new people. 3. I’m a metalhead – to an extent. It all started with Evanescence. Technically, their music is symphonic hard rock and not symphonic metal, but that band was my gateway to the “dark side.” I wanted to find more bands that played similar music. I began with other rock and metal bands with female vocalists, like Within Temptation, Epica, Xandria, Stream of Passion, and Autumn. Which opened the floodgates to male-fronted metal bands, progressive rock, and rock / metal operas. Which also led to my first freelance writing gig as a staff writer for Sonic Cathedral, the premier webzine for female-fronted rock and metal music. These days, rock and metal aren’t the only genres I listen to (my 10 Favorite Albums of 2014 list is proof of that), but together they take up a good chunk of space on my iTunes library. 4. I love ice cream sundaes. OK, I have a sweet tooth in general. However, if I had to pick one indulgence to rule them all (yes, like The One Ring *ha ha*), a sinfully delicious ice cream sundae does the trick every time. Especially one with hot fudge – and it has to be REAL hot fudge that’s thick and creamy, not the runny chocolate syrup substitute. My favorite place to get an ice cream sundae is Emack & Bolio’s in Chatham, MA. (There are other locations in the United States and internationally.) Between the homemade ice cream and whipped cream – and hot fudge sauce just the way I like it – I’m in heaven. 🙂 I’m also a huge Coldstone Creamery fan. 5. I’m terrified of thunderstorms. Everyone has something that rattles their nerves. For me, it’s a thunderstorm. I don’t jump or scream when I hear thunder or see lightning, but I’m still paralyzed with fear – and I know why. During summer break after my first year of college, a particularly nasty thunderstorm blew through my hometown late at night. Lightning struck one of the lampposts that lined our driveway – and since my bedroom was at the front of the house and my window was open a crack, I heard the strike. I can still recall the shattering glass and deafening crack. *shivers* The strike’s impact also traveled through the electrical wiring and into the house, damaging some of our TVs (one stopped working completely), killing our electricity for a few hours, even burning one of our downspouts. It’s hard to not be shaken by that kind of experience with nature’s wrath, or to forget it as you get older. I must have been 5 or 6 years old when it came out. 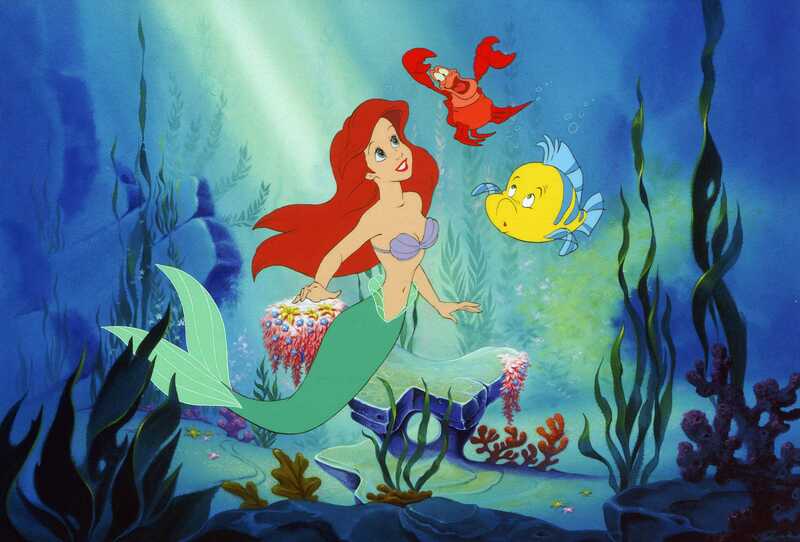 Of course, I don’t remember a thing about that day now, but my dad claims I danced in the aisle during “Under The Sea.” *LOL* This was also the first animated Disney film I saw in the theater; and for several years after that, I religiously went to see the new ones when they were released. My two favorite hand-drawn animated Disney films of all time are still “The Lion King” (classic!) and “Lilo and Stitch” (random, but SO entertaining – and I wished I had Stitch for a pet for a while!). 7. I was a dancer for 13 years (14 if you count the year off I took during my first year of college). I know my parents were glad I danced, because otherwise I was a lazy bum at home. *lol* I had no interest whatsoever in playing sports as a teenager. Now that I think about it, though, dancing was a natural choice of exercise for me. It was creative; it allowed me to express myself through movement, rhythm, and color. Dancing also taught me that patience and practice pay off in the long run, and complimented my work ethic in school. So, in several ways, I’m grateful I followed Katie’s footsteps – literally. I really want an ice cream sundea now haha! *lol* I would love to have one, too! Except I don’t like to eat ice cream during the winter. I’d rather have something warm at this time of year. That’s true haha. Still, it sounds good!! Brilliant fun facts 😀 thank you for the nomination! Thanks, Sara! I hope you don’t mind the nomination. Do you think you might participate? Oh, that’s fine! There’s no deadline. 😉 It took me 5 or 6 weeks to finish mine because of a flurry of things I had going on last month. The dances you did sound so fun, I wish I could see them! “Let’s Get it Started” “Men in Black” 😀 That must’ve been lots of fun. The only dancing I ever did was ballet, which taught me the same important work ethic, but I would have loved hip hop. They really were fun routines! I switched from ballet and jazz to hip hop in middle school because I wanted to try something different. I like how each dance style has its benefits, too. For ballet, it’s balance, toning, and flexibility. For hip hop, it’s cardio and just an all-around good workout. I read The Boxcar Children, too! I forgot about them… and come to think of it, I also read Laura Ingalls Wilder’s Little House on the Prairie books when I was younger. How did I forget about her?? Get out the heater and pretend you’re at the beach while you eat it 😉 Watch Lilo and Stitch–it’s warm, sunny and tropical there, that should help! I really want ice cream now…Haha. This seems like so much fun. Thanks so much for nominating us, this is definitely something I’ll do and I’m sure Penelope will jump on it with me! You’re a metalhead? That’s awesome. I wouldn’t necessarily classify myself as a metalhead, but I do love metal, especially some of the bands you mentioned(Within Temptation, Evanescence, Epica). I’m a big music freak and will pretty much listen to anything! You’re welcome, Alex! 🙂 Looking forward to reading your answers. I don’t remember seeing The Little Mermaid on Ice. But I did see a couple Disney On Ice productions when I was little, though I don’t remember which ones. This made fascinating reading, Sara:). I loved reading these details about you… I also love Evanescence – and was fascinated about your stint as a music critic. Do you include music in your fiction, at all? What a lovely Disney film to see first:) The Little Mermaid is one of my absolute favourites – I think Ursula is a wonderful baddie and love the lush, rich underwater backdrop. Is it your favourite, too? And you were a dancer! Wow… So, do you still strut your stuff on the dancefloor? I think we should start a campaign regarding a Wall-E housebot. No one is giving this subject the necessary urgency! Thanks for nominating me. 🙂 It usually takes a while for me to remember to respond to these things, but I plan on doing it. I didn’t find fantasy until later either. Before that I tried to read what my friends were and surprise I wasn’t happy with contemporary. I’m super shy too. I’m glad I’m not the only one whose nervous about twitter. I can get social anxiety online, it’s quite a talent. I did ballet when I was younger too. I had to give it up when I was a teenager because I have no sense of rhythm lol and just remembering all the steps wasn’t enough anymore. Yeah, I just didn’t think of reading fantasy until after watching the LOTR films. Before then, I read the books I mentioned above (as well as The Boxcar Children and the Little House on the Prairie books – forgot about those!). And I didn’t care for most of the stuff I read for school, too. *whew* It’s nice to know that other people can be shy online as well. Let’s hope it’s something we can outgrow, right? Awww! *lol* I hope you still enjoyed the time you spent in your dance lessons before you gave them up. I stopped mine right before my senior year of college, so I could focus on my last year of studies. Plus, I was getting tired of being in recitals, too. middle school and high school. Amy Lee’s voice is #perfection. I’m a bit of a metalhead myself, though nobody would believe it if they knew 😛 I’m very particular about the metal I listen to, though. I like “Ride the Lightning” by Metallica and I LOVE LOVE LOVE Dragonforce (probably my favorite metal band), but there’s also a lot of metal that I don’t like. You don’t seem to be all that shy on Twitter and the blogosphere 😉 Lol but I know what you mean. I used to be a mega introvert, and I still am when I’m around certain people. When I feel comfortable with my friends and/or bloggers like you, I can’t help but be talkative! “My dad claims I danced in the aisle during ‘Under the Sea. '” Haha awwwww! That is so cute 🙂 I don’t remember the first film I saw in the cinemas, but we do have a mutual favorite Disney movie (“The Lion King”)! Thanks again for nominating me, Sara! This was tons of fun to read, and a blast to participate in! You’re an Evanescence fan, too?? 😀 I’ve heard of Dragonforce, though their music is a little more “power metal-ish” than I like these days. It makes me curious to know who else you listen to, though, and if we have other common band interests! I think I’m probably (a little) more outgoing on the Internet than I am in person. And trust me, if you get me going on the right topics, I can go on and on. *lol* But I still feel self-conscious about “jumping” into people’s Twitter conversations and have trouble thinking of things to share that aren’t related to writing, reading, etc. So that’s more or less what I meant there.